Back again after a few days visiting family friends in rural areas of eastern Australia. Unfortunately, bits of necessary technology went missing and wireless was non-existent in the country towns I visited so I was out of communication. 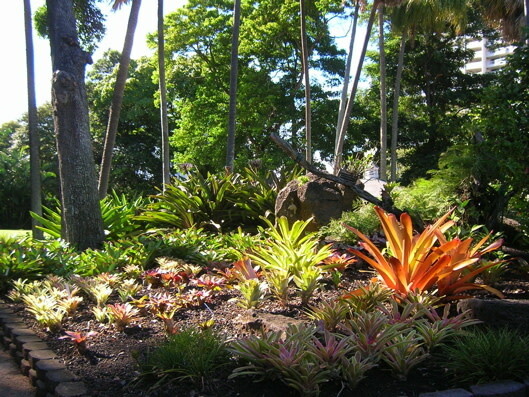 Before I dig into the Australian flora and garden culture, let me just share with you one area of Honolulu’s Foster Botanic Garden: a peaceful, lush oasis containing many heritage specimen trees, a large palm collection, a garden of edible tropicals and – my favorite area – the bromeliad section. 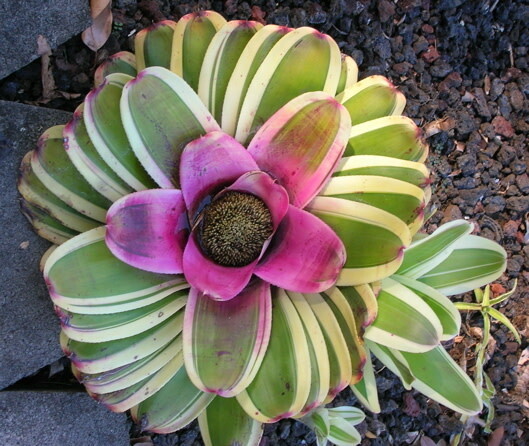 Bromeliads are most famously represented by the pineapple – Ananas comosum – an icon of the Hawaiian Islands, although it is actually native to southern Brazil and Paraguay. 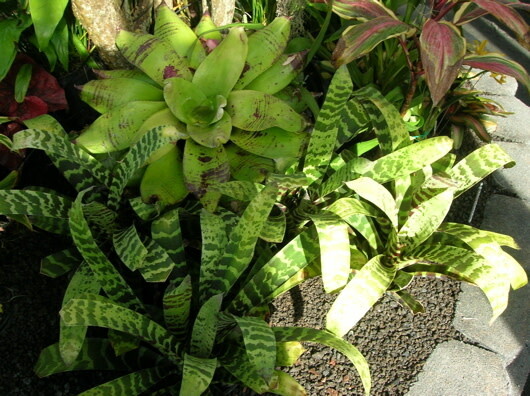 Bromeliads can be broken down into three main groups: the spiny Pitcarnia group; the Bromeliad group, which are "tank" bromeliads that have little basins for collecting water in the center (this includes the pineapple); and the Tillandsia types, which are epiphytic ("air-plants," which usually grow on trees, drawing moisture and nutrients from rain and run-off) and include Spanish moss, which most famously drapes from live oak trees in the Southern USA. 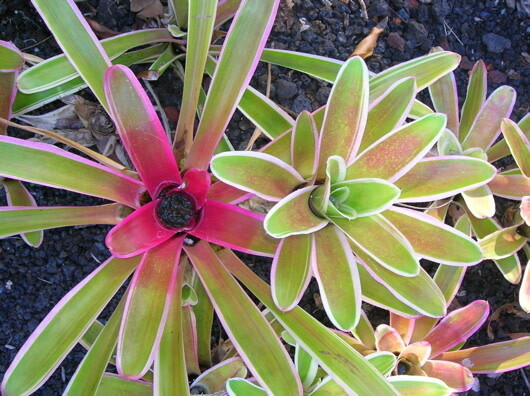 These images exhibit the diversity among "tank" bromeliads at the Foster Botanic Garden in early November, 2009. 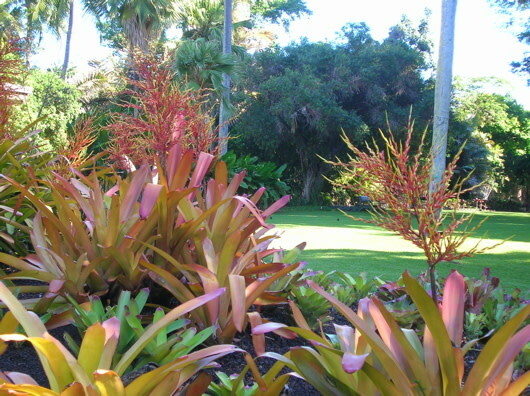 These plants provide incandescent color and gorgeous architectural form in the tropical garden. Many of them make fine house plants, too. 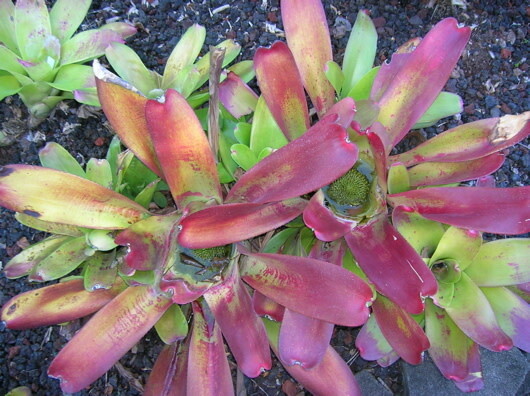 Best of all, there are some beautiful and more cold-hardy Bromeliads that can be grown in Portland gardens.